Over the last decade (from 2008 to 2018) the use of anti-depressant has tripled in Spain. However, a similar increase in the rate of depression cannot be inferred from this. Various factors should be taken into consideration. Firstly, the extensive use of anti-depressant drugs, especially the Slow Serotonin Re-uptake Inhibitors and Mixed Re-uptake Inhibitors (serotonin, noradrenaline and/or dopamine).Secondly, these drugs are also prescribed for conditions other than clinical depression. There is no doubt that the use of anti-depressants has been liberalised, as this does not depend on an exclusive prescription from a psychiatrist. In addition, these drugs are used with increasing frequency to solve the small psychological setbacks, a kind of "pill of bliss"; a conceptual mistake selfishly fostered by the pharmaceutical industry. The "efficacy-tolerance" relationship of "serotonin re-uptake inhibitors" and, to a lesser extent, "mixed re-uptake inhibitors", is being questioned. Many trials to determine the efficacy of the most recent anti-depressants have undergone a “peer-review”. However, there is an important bias if we take into account that only studies that show favourable results are published, whereas those which do not give rise to a significant clinical improvement, as opposed to a placebo, are shelved. Ten years ago, in 2008, a group of researchers carried out a meta-analysis of trials using anti-depressants (1), approved by the North American Food and Drug Administration (FDA), both published, and archived or ignored, were all submitted to a “peer-review”. The researchers unearthed 74 studies, including more than 12,500 patients, which were published between 1987 and 2004. Approximately half of these clinical studies showed the efficacy of the drug studied (objective improvement in patients in the study group as opposed to the placebo group). The other half of the studies were "negative" (there was no discernible improvement in the study group compared to the placebo group). However, only three "negative" studies were published, and, of course, all trials with "positive" results were released. Of the 74 studies, 22 were never published, and another 11 were subjected to statistical analysis so that the results “appeared” to be positive. That same year, a second meta-analysis (2) was published using data obtained from the Food and Drug Administration, instead of peer-reviewed studies. While initial meta-analysis evaluated efficacy versus a placebo, this second meta-analysis paid attention to a different criterion. The drugs’ effectiveness was assessed depending on the “basal state” of the patient's depression when the treatment was applied. In other words, the conclusion was that the efficacy of "serotonin reuptake inhibitors" was limited in moderate depressions, and scarce in severe depressions. From both meta-analyses, it was concluded that the efficacy of the most prescribed anti-depressants had been exaggerated, with discernible improvements being achieved in only “a few" patients. John Ioannidis published in Philosophy, Ethics, and Humanities in Medicine (3), also in 2008, an interesting critical analysis of the design of these studies and the selected “cohorts” to carry them out. It was observed that short-term trials create a bias in favour of "positive" results, both in efficacy and tolerance. Many studies were "statistically significant", but failed when the criterion employed was that of "clinical significance". The work of John Ioannidis raised questions about the use of anti-depressants and the quality of the clinical trials using these drugs. The most comprehensive study to date, published in 2018 in The Lancet (4) is aimed at dodging the obstacles and methodological shortcomings of the past. In this paper, the documentation of the Medical Regulatory Agencies of different countries was analysed, together with medical literature, and with special emphasis placed on double-blind studies that were carried out until 2016. The study (a meta-analysis) focused on controlled trials, against a placebo, and on head-to-head studies with twenty-one anti-depressant drugs used for clinical scenarios of severe depression. The researchers used the statistical technique of "network meta-analysis", which allows a direct comparison between individual trials; and an indirect comparison with a common pattern. "Effectiveness" and "tolerance" were studied, applying the concept of "acceptability". Most of the studies were sponsored by the pharmaceutical industry. This circumstance does not detract from their validity, given that the results are very similar to "independent" studies. Two other interesting findings were observed: anti-depressants are shown to be "more effective" immediately after their commercialization. After some years, the treatments established do not (from a statistical point of view) achieve similar results in terms of "efficacy" and "acceptability". The second observation is that the greater "clinical efficacy" with a particular drug is observed during the first few months of treatment, decreasing over time. 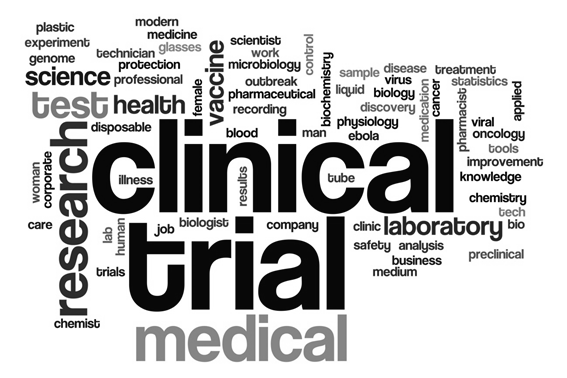 Five hundred and twenty-two trials involving more than 116,000 participants were considered. Of these, 86 trials were never published; another 15 were "discovered" through personal communications outside the scope of systematized bibliographic searches. Several conclusions are drawn from this extensive analysis: the first is that all antidepressants were effective in relation to placebo (5), with variations in both "efficacy" and "acceptability". The second conclusion is that the results for a given anti-depressant drug were similar in limited clinical trials (in time and number of patients) in relation to prolonged studies and with a high number of participants. The debate seems to be in favour of the efficacy of antidepressant medications (6). The controversy over "re-uptake inhibitor" anti-depressants cannot be resolved by univocal response. The concept of "clinical significance" must be revitalized without detracting from the more usual "statistical significance". Empirical medicine, so reviled under the umbrella of "evidence-based medicine" (7), ought to recover some of the pre-eminence that it enjoyed at the dawn of medical praxis. 1.- Turner E.H., et al. Selective Publication of Antidepressant Trials and Its Influence on Apparent Efficacy. N Engl J Med 2008; 358: 252-260. 2.- Irving K., et al. Initial Severity Antidepressant Benefits: A Meta-Analysis of Date Submitted to the Food and Drug Administration. PLoS Med 2008; 5(2):e45. 3.- Ioannidis J.P.A. Effectiveness of antidepressants: an evidence myth constructed from a thousand randomized trials? Philos Ehtics Humanit Med 2008; 3: 14. 4.- Cipriani A., et al. Comparative efficacy and acceptability of 21 antidepressant drugs for the acute treatment of adults with major depressive disorder: a systematic review and network meta-analysis. The Lancet 2018 (on-line). In: https://doi.org/10.1016/SO140-6736(17)32802-7. 5.- Mark Rice-Oxley. The drugs do work: antidepressants are effective, study shows. In: https://www.theguardian.com/science/2018/feb/21/the-drugs-do-work-antidepressants-are-effective-study-shows. Consult: March 2018. 6.- Kelland K. Study seeks to end antidepressant debate: the drugs do work. In: https://www.reuters.com/article/us-health-antidepressants/study-seeks-to-end-antidepressant-debate-the-drugs-do-work-idUSKCN1G52XX. Consult: March 2018. 7.- López-Tricas J.M. Medicina basada en la evidencia. ¿Qué significa? In: http://www.info-farmacia.com/actualidad/desarrollo-y-conciencia-social/medicina-basada-en-la-evidencia-que-significa. 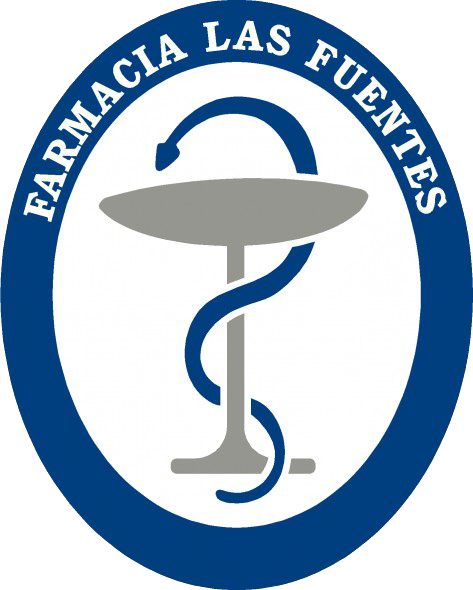 www.info-farmacia.com. Consult: March 2018 (Spanish).